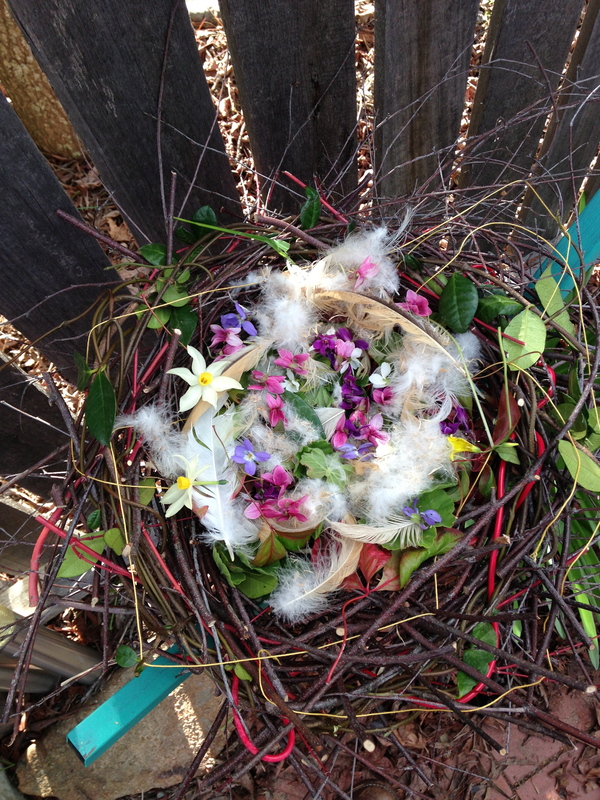 We made a nest, from silver birch twigs. 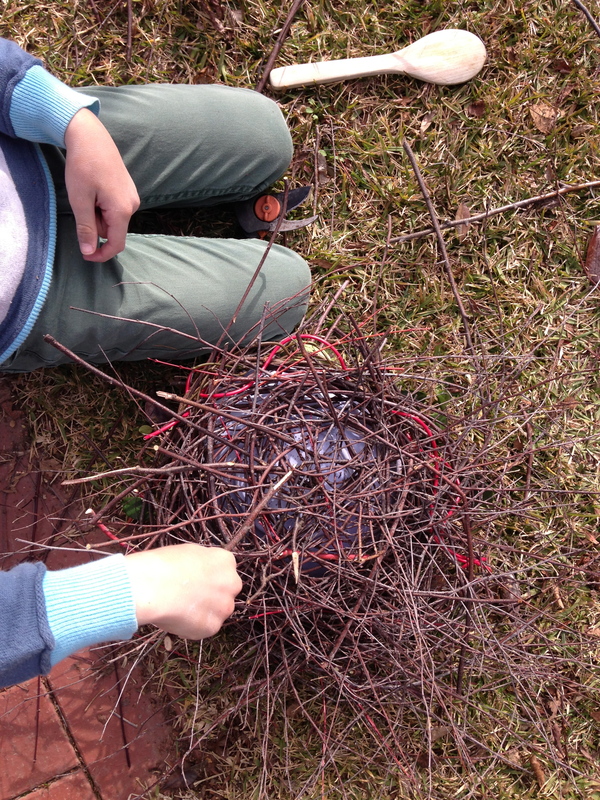 We went walking to collect materials to weave within the birch. A piece of electrical wire was found, a bright red strand. 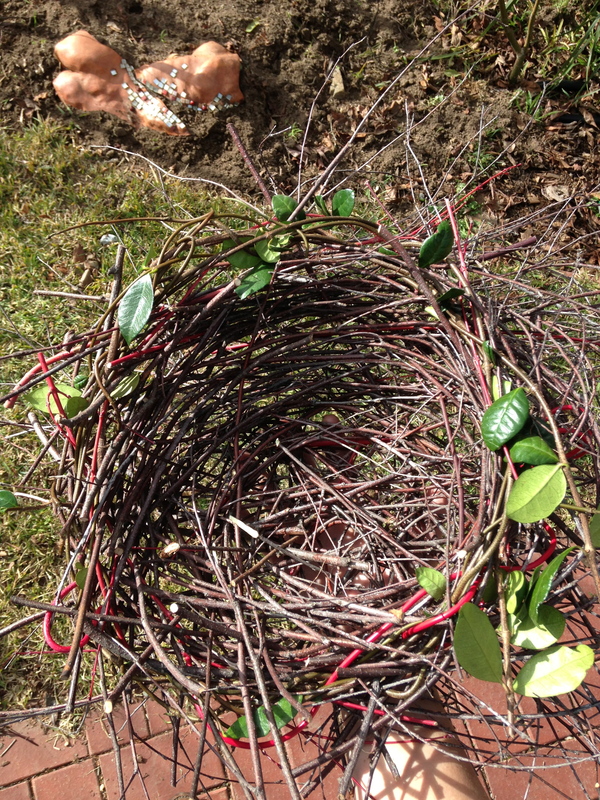 This was woven through the twigs with great skill. We decided birds are very clever, they don’t have two hands to bend, twist and manipulate the twigs into the right place. Just a beak. No opposable thumbs. Henry decided the birds would be more comfortable sitting in feathers from our chickens bottoms, rather than scratchy sticks. 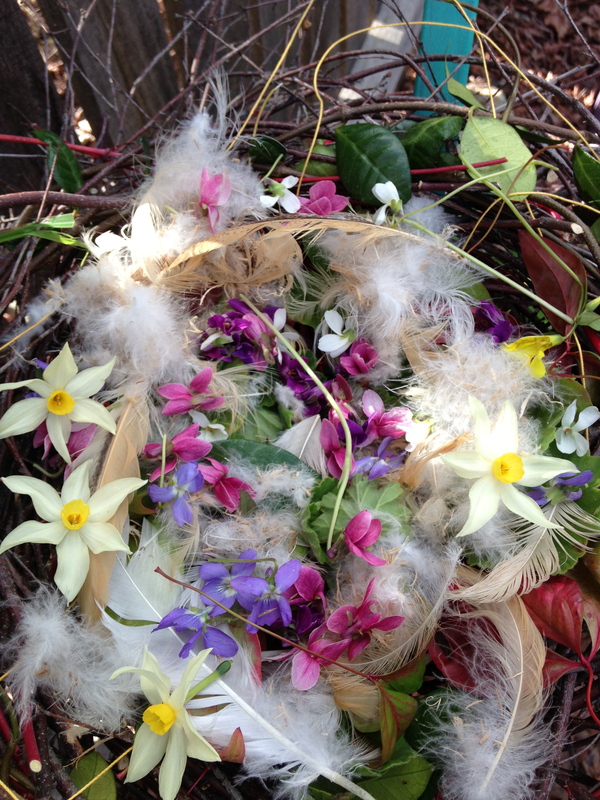 So, we gathered them up, along with violets and jonquils – (a sort of bird aromatherapy, if you like) and placed them in our nest. Funnily enough no wayward birds arrived to take advantage of this ready made haven. Regardless of this, we now have bird nesting skills. Something to add to our can-do list.